This summer, I wanted to travel to a country in its purest form and vibrant life. Luckily, I ran into IVHQ and completely fell for the idea of traveling while making an impact on the country I would visit. 1. You’ll meet the coolest kids on the planet. Definitely, this will be the best part of your volunteering abroad experience. I was placed at two orphanages, Kusi Wasi and Juan Pablo II and I had completely different experiences at each one. Kusi Wasi, a special needs care program where you find yourself surrounded by the sweetest, kindest and happiest kids. You spend days teaching them to draw, write and sing, you take them for a walk in the park to play and dance, you learn Peruvian games and songs and all while surrounded by pure love. Juan Pablo II is the place where you can have the greatest laughs and funniest moments. The kids are an amazing family who takes care of each other and opens their home for you to play, sing, dance and learn about any topic as English, the country where you’re from, or anything you want to teach them. I gained so much closeness and sensitivity from this grateful and happy kids. 2. Homestay - your roomies will become your family. From the moment I arrived home, everyone I met at the house became part of my family, they were so friendly, open-minded and kind-hearted at all time. It didn’t matter if one was only staying a week or staying a month, they had the same willingness to help. Our house was so big and we had the most caring host. I got to meet people from all over the world, now I have friends from New York, Canada, Maine, Mexico, Philadelphia, Manama, Texas, Washington and many more. 3. You‘ll hike up and down the city and experience every type of ecosystem. Peru has so many different environments to enjoy. You can visit the sea, do mountain climbing, discover jungle life or enjoy an oasis in the middle of the desert. The country has it all, you can be at 2,500m or 4,500m high and everywhere, you’ll have buildings to admire, intrepid eating to experience, spontaneous and random photographs and meeting fearless adventurers. 4. Llamas - you will literally see llamas everyday and everywhere. For real, walking across Cusco’s cozy and homely streets, you’ll come across llamas and alpacas everywhere. You have to be aware that Peruvian people may ask you for some tip if you want a picture but your photo will be worth so much more. 5. You’ll get to visit infinite museums. Walking the city I found out it has any kind of museum you want to visit. To understand its crops, go to Coca Museum, Museum of Sacred, Magical and Medicinal Plants and The Chocolate Museum, where you can get to know how chocolate or coca tea is made and brunch with an excellent view of the city. Sacsayhuaman, Coricancha, Irq’i Yachay Museum and Regional History Museum will be the museums where you can understand the culture. Hilario´s Museum will be the one where you’ll find art. And there’s many more to go to. 6. You’ll taste coca tea and dismantle its myths. People talk about coca plant without actually knowing about it. 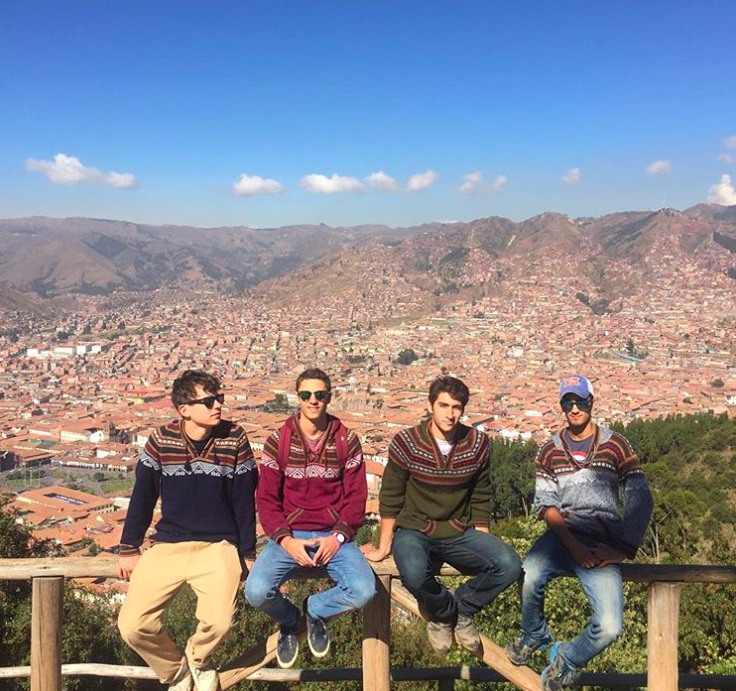 Cusco’s one of the highest cities in the world with an elevation of 3,399m and people can battle altitude sickness. Coca’s a plant of minerals, vitamins, and nutrients; once you arrive in Cusco, locals show you that coca leaves are better to be chewed or in hot tea to get used to the altitude. 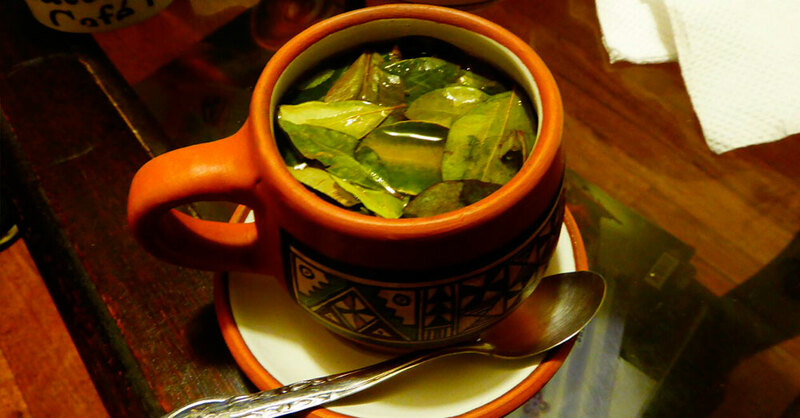 And once you taste the coca tea, you'll never want another tea. 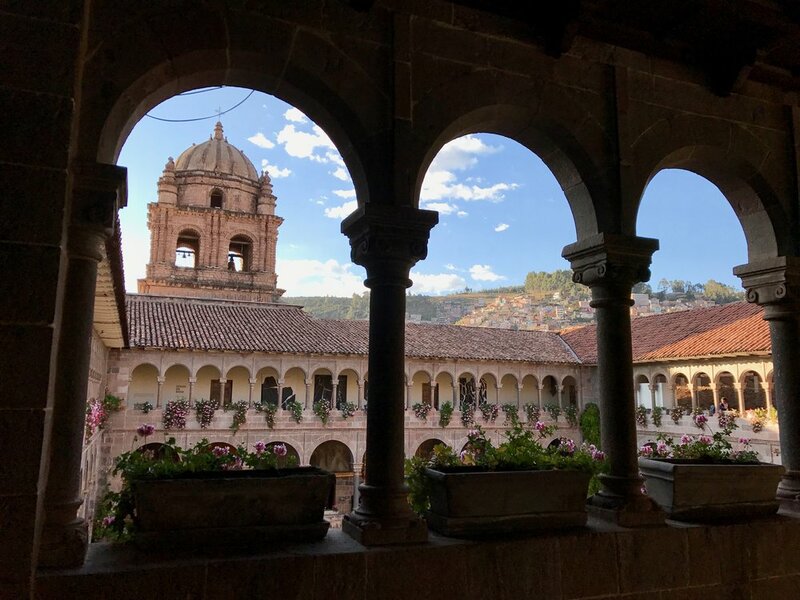 Cusco has more destinations that you can imagine. You can be able to go to places like Machu Picchu (obviously it’s a must go) the Andes, Sacred Valley, Moray, Sacsayhuaman, Salt Mines, Rainbow Mountain, Lake Humantay and so many others. At places as mystical and exciting as these, words and photos are not enough to describe the experience of viewing unbelievable landscapes that are simply breathtaking and impossible to forget. 8. You’ll not come back from Cusco without an alpaca sweater. Once you get to the city, you’ll see everyone wearing typical alpaca sweaters; the most comfortable, practical and nicest looking clothes you’ll have in your closet; they go with everything! 9. You’ll meet people everywhere, everyday, anytime! My roomies were not on the same placement, so it was up to me to meet people. Kusi Wasi had volunteers from other agencies as well and I met people from Spain and India, who enjoyed their time as much as I did. Juan Pablo II had volunteers from Lebanon, Italy, Germany, Japan and Mexico who created amazing bonds with the sweetest people I’ve ever met. 10. You’ll experience art everywhere. City’s charm can be found when: you cross with artists showing you their paintings at Plaza de Armas; the Cuzqueña’s architecture and the Stone of 12 angles; seeing proofs of the architectural fusion from Inca and Hispanic at churches and cathedrals; and entering every little market where you see the handicrafts, clothing, native textiles or organic foodstuffs from the country. 11. You’ll make some amazing memories at nightlife. It has a variety of restaurants, nightclubs, and lounges to experience an interesting and active nightlife, where energy flows into the night. You’ll find big parties at hostels as Loki or Wild Rover where you’ll meet volunteers and have the funniest anecdotes to tell back home and you’ll find some places to dance and have fun like Mama Africa, Mushrooms or Mythology. 12. You’ll meet the nicest and politest people in the world. On our trip to Machu Picchu, we experienced some miscommunication with our guides and got lost a couple of times, but the help we receive from local strangers showed me how polite and gentle Peruvians are, they were on the lookout if foreigners needed something. They borrowed their phones because we had no signal, they took us to every meeting point and they talked to the agency for us, it was something to admire! On the whole journey, people were so nice to us, everyone was on the lookout if foreigners needed something. If you have any question / doubt, slide into my dm's at @nicolepochat and I'll happily answer.